Violet has spent her holidays exploring India with Godmother Celeste, including visiting Celeste's good friend the Maharajah and meeting his very special cockatoo. But when she returns home, Violet gets a surprise visit from the Maharajah's butler, asking her to look after the bird. Violet couldn't be more amazed (and her cat Pudding couldn't be less pleased…), but the cockatoo holds the key to the Maharajah's fortune, and someone is trying to bird-nap her! 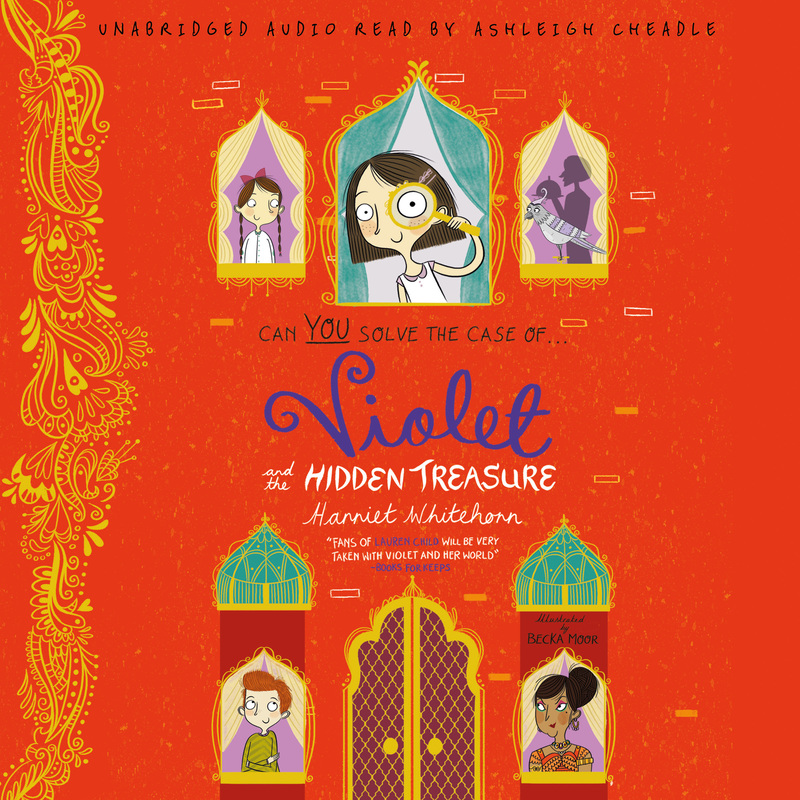 Can Violet discover who the culprit is before they succeed? Perfect for fans of Dixie O'Day, Ottoline and Goth Girl, everyone is bound to fall in love with Violet and the colourful characters that make up her world. Read by Ashleigh Cheadle, narrator of The Bookshop Girl and How to Catch a Witch. Praise for Violet's first adventure, Violet and the Pearl of the Orient! Harriet Whitehorn grew up in London, where she still lives with her husband and three daughters. She has studied at Reading University, the Architectural Association and The Victoria and Albert Museum and has always worked in building conservation. She currently works for English Heritage. Violet and the Pearl of the Orient was her first children's book and the first in a series, followed by Violet and the Hidden Treasure and Violet and the Smugglers.